In talking about new-genre public art and the potential critique of such work I was reminded of a really interesting documentary I saw recently on the work of Vik Muniz. 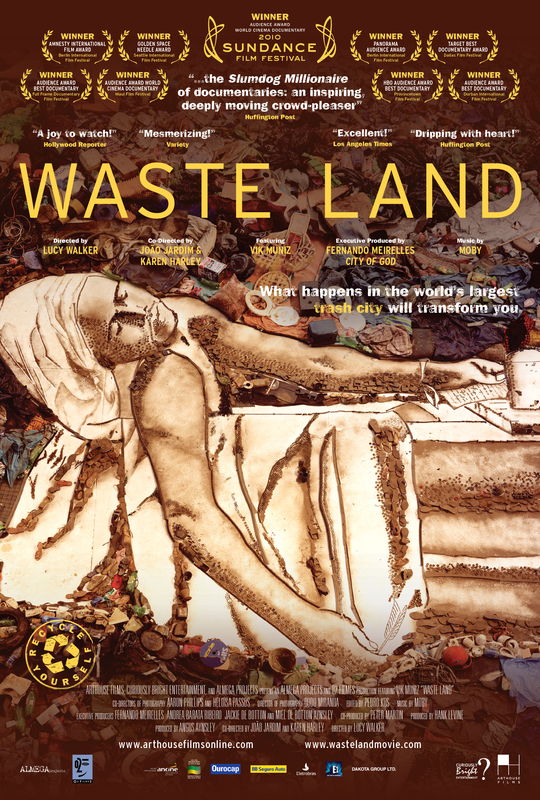 Waste Land follows the artist as he returns to his native Brazil from Brooklyn to work on a project with the catadores who pick and sell recyclable materials from the world’s largest garbage dump. My response to the documentary was critical of Muniz who employs the catadores to pick garbage and setup his trademark assemblages to be photographed and sold at auction. Some of the imagery from the film as the artist watches from scaffolding as the catadores assemble images from garbage in the Muniz’s warehouse reminded me of the potential for hierarchies in new-genre public art and the agency of the artist. I think the work is problematic in this way and the artists relationships with the different catadores and their unique understandings of the work and their relations to the artist are very interesting. Worth watching. Treva Michelle Pullen is a graduate students at OCAD University in the Contemporary Art, Design and New Media Art Histories MA program. Pullen is a new media art scholar whose graduate level research will unpack the curatorial strategies for new media and electronic art in relation to the agency of such art objects and the reciprocal relationships that can occur between works of art and between the work of art and the viewer. She is also a practicing visual artist and curator and holds a BFA in Criticism and Curatorial Practice. The blog "The Danger of Advertising was one component of her multidisciplinary undergraduate thesis project. Thanks Treva! I thought about this work too and am happy you’ve brought it up. Your critique is very spot on in making us question the line between collaboration and exploitation in these kinds of community projects. Lets add it to our discussion on Wednesday when we talk about the other two documentaries/projects.